These coral home decor pieces perfect for summer because they are both warm and fresh. Warm tones are perfect for capturing a summer vibe. This is a versatile color because it works well as a spring, autumn or winter color. It can be used with many different colors because it provides interesting contrast. Use with neutrals because this is perfect if you want your piece to stand out. This is a lovely color for a feature piece or to use a general theme for a room. 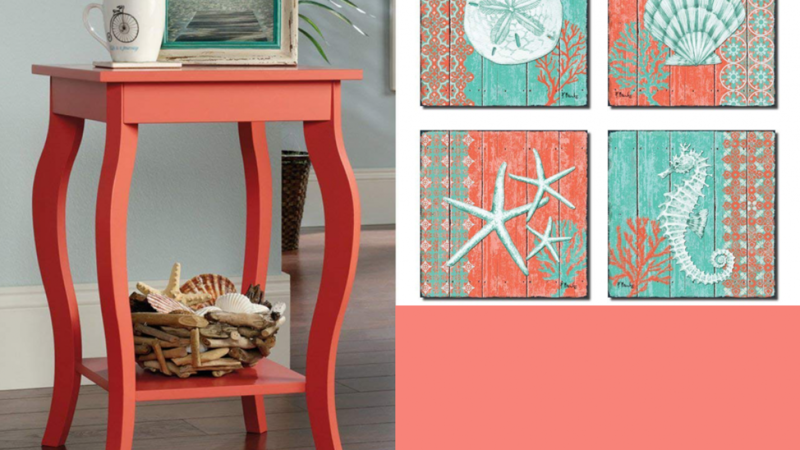 Coral works well in summer when teamed with seaside colors such as teals, blues, sands, greens or whites. For a warmer winter look try using it with browns, greys, whites or black. It works well with almost all autumn shades and can be teamed with bright spring greens or florals for a springtime vibe. Coral is a shade of orange taken from forms of precious coral. The first known use of the word coral to describe this color was in 1513. There are three main shades of coral that are often used and these are coral, coral pink and light coral. These are all shades of orange but they different to standard orange as most people image it. This is an interesting color that adds diversity because the color is unusual. This side table features a lower shelf because it is useful for extra storage or display and it is part of a furniture collection called Sauder. Sauder is an american company that was founded during the great depression. 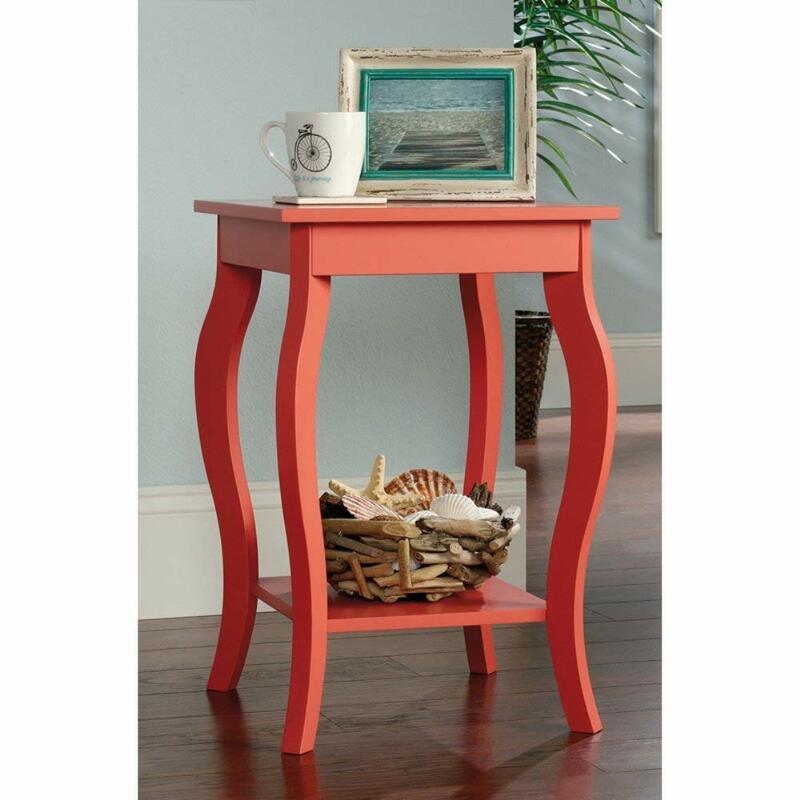 The side table stands 23.6 inches high and it is 15.8 inches wide. 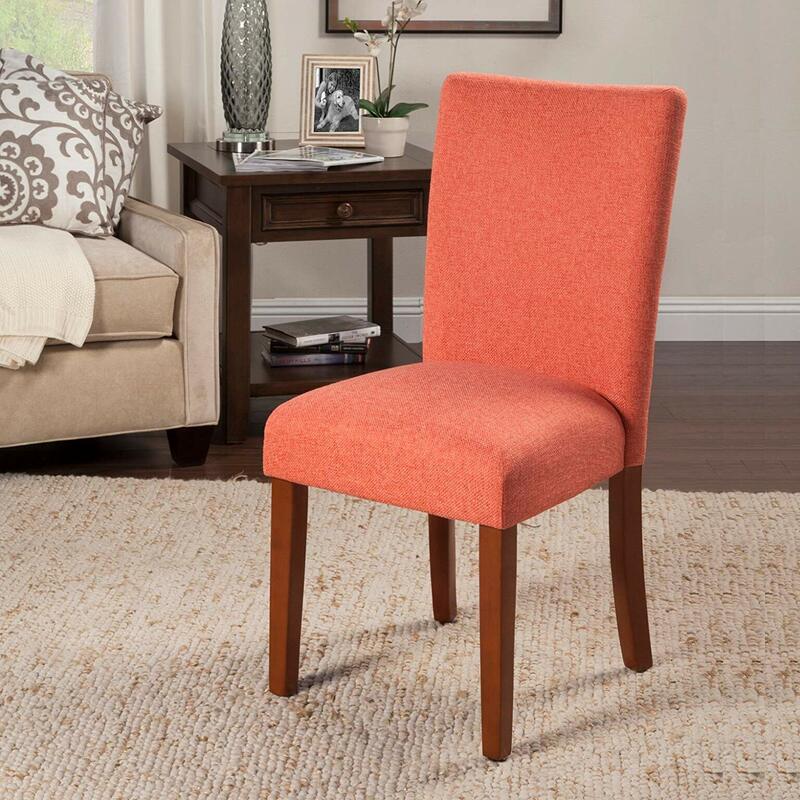 Add a splash of color by using this chair as an accent chair or brighten up your dining area with a set. These chairs come in sets of two and the legs are wooden with a rustic brown finish. This chair will blend nicely with decor that features other wooden items or a rustic appeal because of the wooden legs. 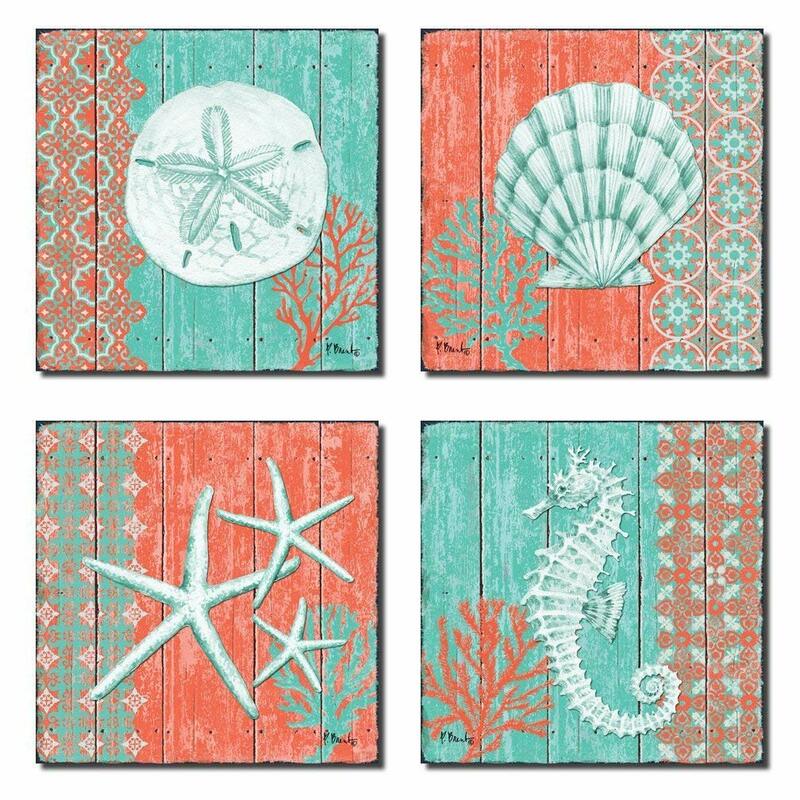 This lovely set of nautical themed wall art prints is perfect for introducing this shade to your beach house. You can see here how coral works very well with teal green. Perfect for displaying next to a jar of shell you have collected, driftwood or colored sand. 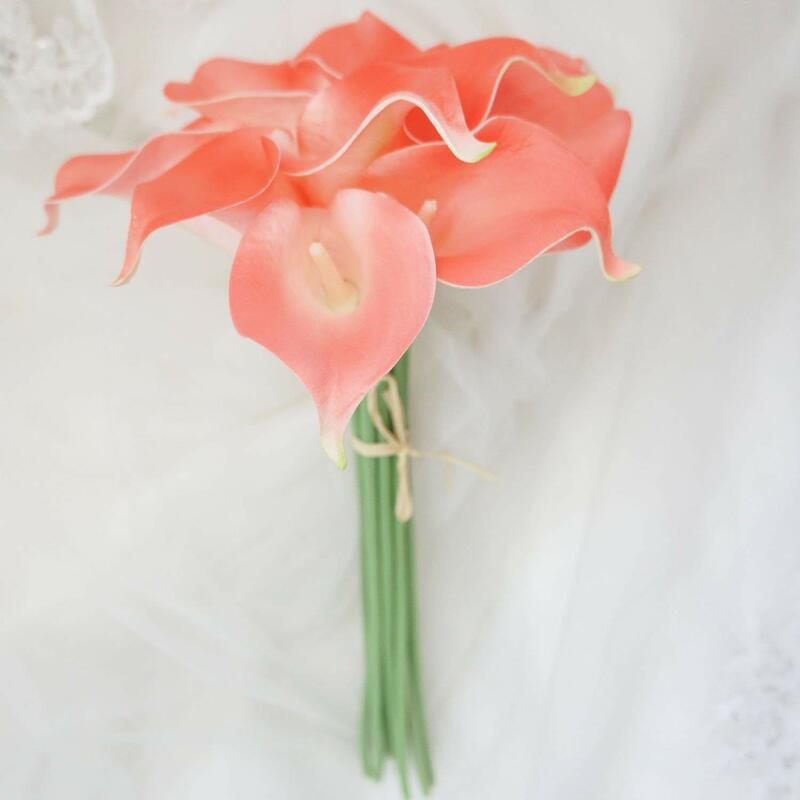 These artificial calla lillies are the perfect thing to add a touch of color to your decor. They feature a beautiful shade of coral and you can easily fill any vase because there are ten stems included in the pack. Each stem is approximately 15 inches tall and the flowers are about 5 inches deep. 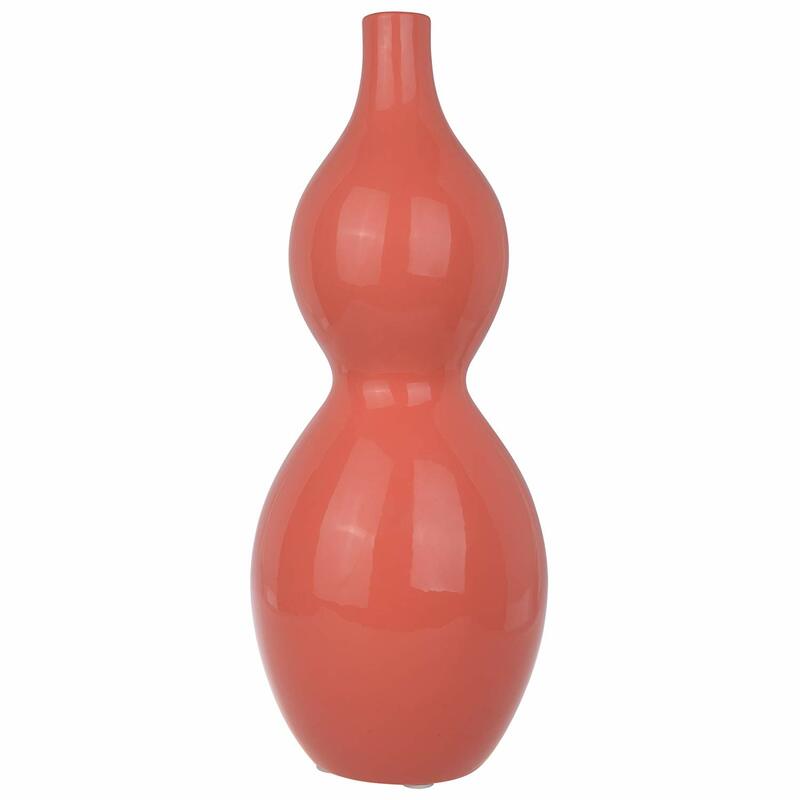 This modern coral vase is interesting because it features a unique shape. The vase is approximately 14 inches high and it is from the A&B Home Kathy Ireland designs Jardin collection. A lovely idea for your home or as a gift for someone special. This is a great gift idea for a housewarming party because it is unique and you can fill it with flowers before giving. 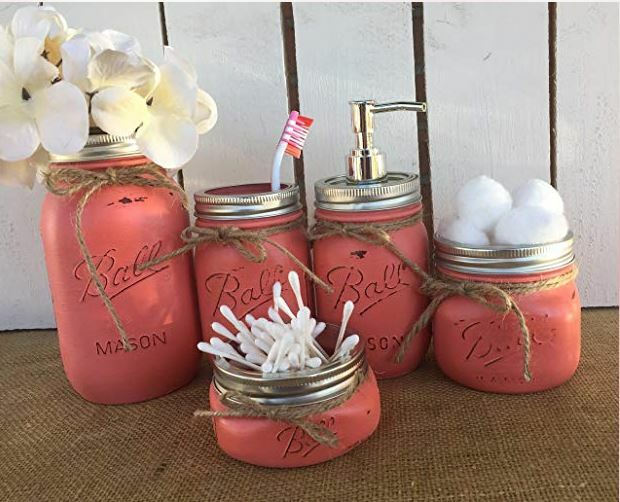 You can store or display almost anything using this set of coral mason jars. Because there are so many different shapes and sizes they are sure to fulfil your needs. One of the jars is a soap dispenser and the others can be used however you like. You can use all of these together in your bathroom because they look great as a set or use separately round your home. This floor rug is perfect for a beach house because it is coral colored and in addition it features a coral pattern. 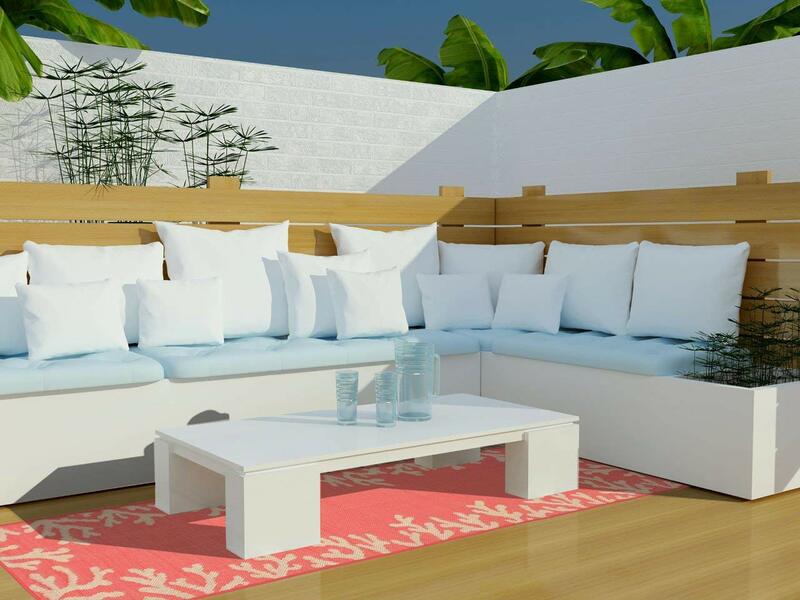 You can use this rug inside or in an outdoor area because it is designed for both. It is easy to clean and 100% synthetic. The perfect way to brighten up any indoor or outdoor space for the summer. 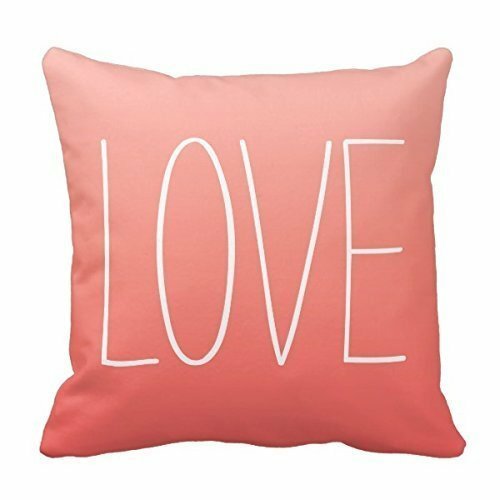 Celebrate summer love in style with this cute pink coral pillowcase. It measures 18 x 18 inches and is machine washable. Perfect to add some color to a neutral room or sofa.